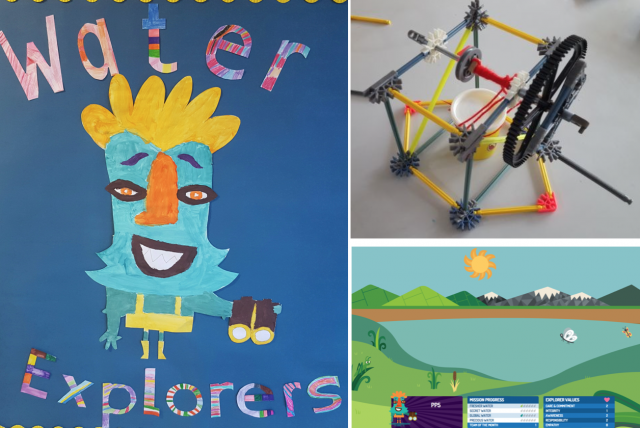 Water Explorer Water Explorer - St. Augustine's PP5 in Dublin win Global School of the Week! St. Augustine's PP5 in Dublin win Global School of the Week! A well deserved congratulations to St Augustine's PP5 in Dublin who won our Global Team of the Week in November. They showed a lot of enthusiasm and excellent work in October and have carried this on through other challenges. They have shown great responsibility in caring for their environment and the animals that live within it through the Freshwater Species Savers challenge. They investigated how water is extracted and built their own pump through the Pump It Up! challenge and Freshwater Species Saver! They have displayed excellent Water Explorer values in both of these challenges. We hope you are already making good use of the prizes that you won for Ireland's Team of the Month and you can look forward to receiving Water Explorer water bottles, if you have not received them already!